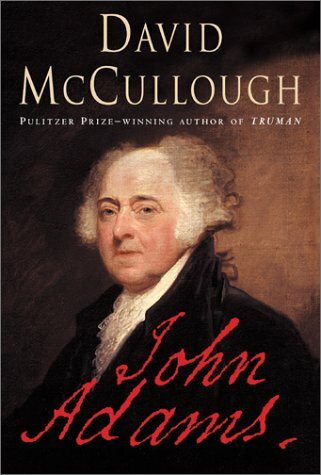 A few minutes ago I finished David McCullough’s biography of John Adams, which I had been hacking away at, off and on, since December. A couple of times I feared I would never finish, but with school over I was able to crank through the last big section more easily and finally cross the finish line. I love that feeling of satisfaction when you have finished a significant book! If I were to begin discussing all that I learned, enjoyed, and appreciated in the reading of this book, this post would probably be longer than my post on Abraham Lincoln, so I think I will just say by way of summary that it is an absolutely engrossing read which I heartily recommend if you are (1) looking for a model biography or (2) interested in early American history. The next book on my summer reading is Manhunt, which I am about 1/3 into and am determined to finish without too much skimming. I never would have expected this, I am becoming more and more interested in history.